Our inventory is packed full quality vehicles. Take a look and find the perfect vehicle for your wants and needs. Our no cost, no obligation pre-approval gets you your pre-approval amount instantly. And you'll see your credit score instantly. We help people with bankruptices or poor credit buy vehicles. No matter your situation, we can find a loan program to get you approved. Now you can visit the dealer with confidence, knowing you're already Pre-approved. 1st Time Buyer....... No Problem! Get your no cost, no obligation, instant pre-approval and see your credit score! Get Pre-Approved in 30 Seconds! Do you have questions about getting a car loan despite having gone through a bankruptcy, foreclosure, or collection? You're not alone, and we're ready to help answer all your questions. A bad credit score isn't awlays the result of bad financial choices, something bad things happen to good people. At 30 Second Auto Loan we help people in both Chapter 7 bankruptcy and Chapter 13 bankruptcy get approved and purchase a great vehicle that can help rebuild their credit. If you're currently in an open bankruptcy, getting an auto loan can help start to reestablish your credit. 30 Second Auto Loan has loan programs that allow people in bad credit situations to buy a car, truck, suv or van with little or no down payment. The financial specialists at 30 Second Auto Loan know the best way to improve bad credit is to make payments on time with a major installment loan and what could be better than an auto loan? 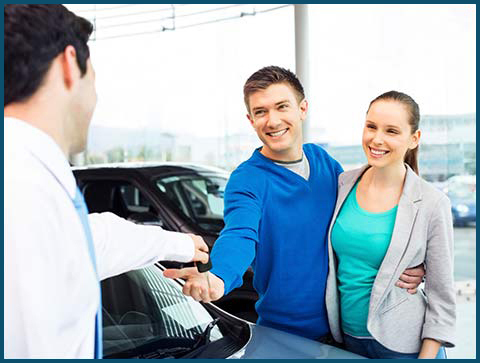 Get a quality, reliable vehicle that will help you build a good credit history. There are no short cuts when it comes to your credit. Get approved, make payments on time and if you dont have any new negative items on your credit, your credit score will improve. 30 Second Auto Loan is here to help!